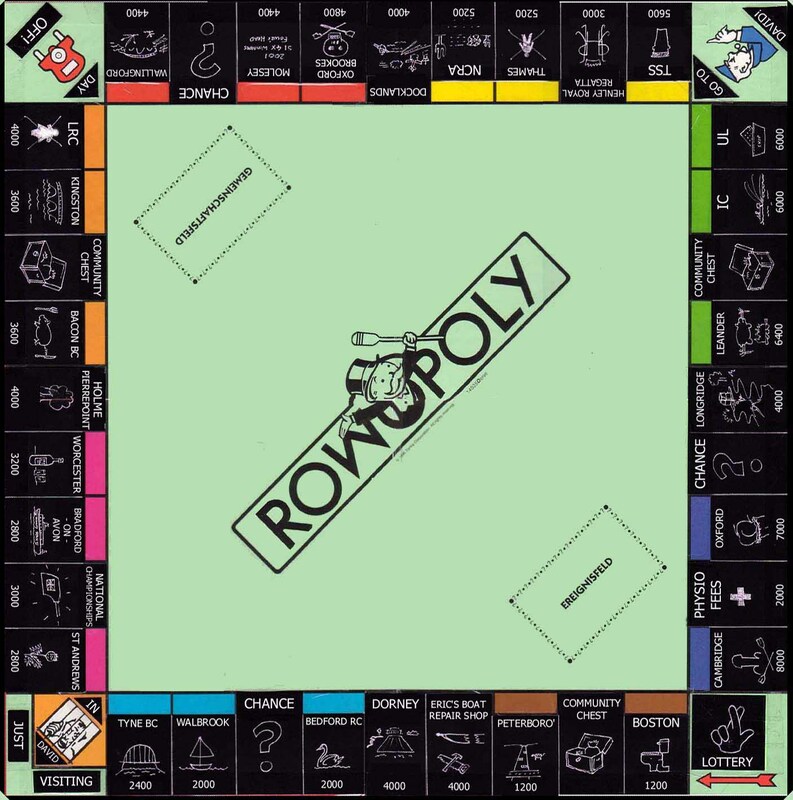 Pushing back the boundaries of rowing board games, Underground is pleased to be able to bring you ROWOPOLY. This limited edition version of the classic game, was created for you by a 'name-less' group of Heavyweight women, Lightweight men and Lightweight girls. 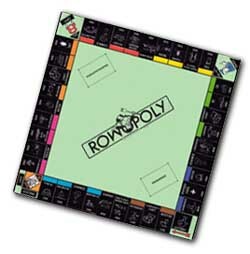 We've ripped up all the Street names, Chance and Community Chest cards and re-written them with a rowing theme. instead of all the streets, we've replaced them with our rowing clubs. The Stations have been replaced with our country's beautiful rowing lakes - although the girls insisted we include Longridge. Instead of the Utilities, we have Nat Champs and Henley Regatta. and in our game, you don't go to jail, you get sent to David Tanner for a serious meeting! Oh and not forgetting when you pass 'Go', you pick up your Lottery cheque!